In our last article, we looked into the past and highlighted some of the best Champagnes from 2017 – including exciting new releases and notable competition winners. Therefore, it seems fitting to now take a look into the future and discuss what we can expect to see in 2018. As some houses prefer to keep their releases undisclosed prior to launch, it is impossible to know every champagne set to hit the market over the next year. This is article is thus divided into two sections: 1) Definite Releases, which have been confirmed by the house and in some instances tasted by The Finest Bubble; and 2) Predicted Releases, which we are speculating to be released in 2018, but have not been confirmed by the house. We tasted the latest vintage of the legendary blanc de noirs champagne Vieilles Vignes Françaises at the house in Aÿ last summer and, sworn to secrecy until the end of 2017, can now reveal that Bollinger Vieilles Vignes Françaises 2007 will launch in 2018. 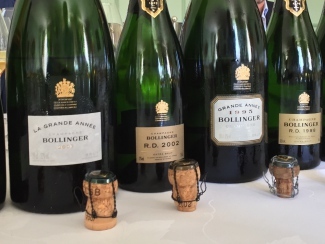 Produced from vineyards right opposite the house in Aÿ, this cuvée is produced most years that are worthy and 2007, whilst not a stunning year all-round, was a success for Bollinger – as obvious in the quality of La Grande Année 2007. 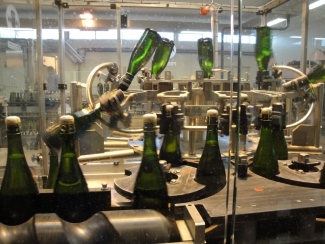 Just 2,500 bottles of Vieilles Vignes Françaises 2007 were produced. Lots of intensity with loads of fruits and guava. This has great acidity, tropical-ness, power and length. Loads and loads of peaches and apricot flavour on the finish. During our visit to the house in Reims in August we tasted the latest vintage, Brut Millésime 2006, with cellar master Cyril Brun. He told us that, if it could be done again, 2006 may have been released before 2005 (as Charles Heidsieck eventually did with their vintage rosé), however at that time a non-consecutive vintage release had never been done before. Originally scheduled for a late-2017 release but held back, Charles Heidsieck Brut Millésime 2006 should be on the market in the first quarter of 2018. Big and rich. Lots of fruit and creaminess with some vanilla character. Bubbles seem prominent. Good length, fresh acidity and a bright, clean finish. 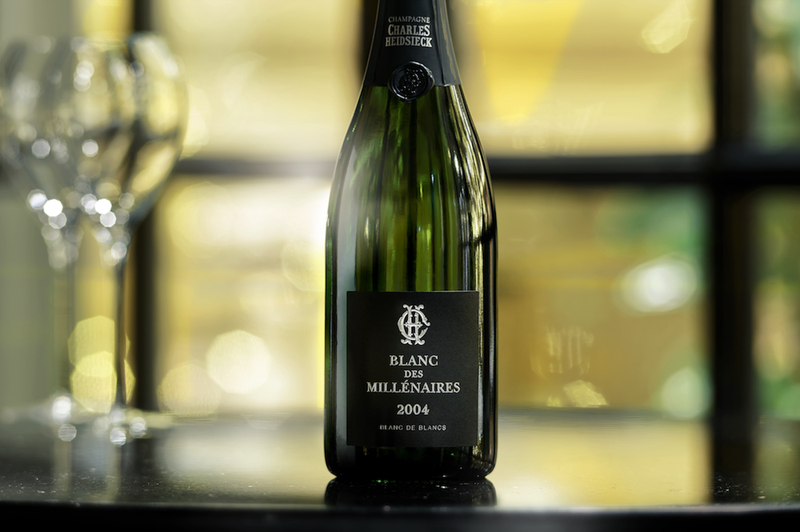 During the same visit, we also tasted the latest vintage of their prestige cuvée, Blanc des Millénaires 2004. With just four vintages produced since its launch 25 years ago, this champagne is one of the rarest ever produced. 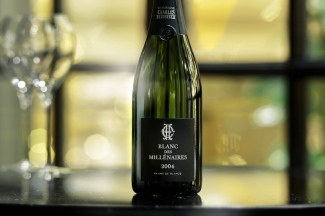 A large part of its exclusivity is the over-production of Blanc des Millénaires 1995. Cellar master at the time, Daniel Thibault, produced ten times the necessary quantity and as a result BdM 1995 is still being sold, despite it first being released in 2006! However, we can finally reveal that a new vintage is coming: Charles Heidseick Blanc des Millénaires 2004 will be released in February 2018. Lots of creaminess already on the nose and some of that smoky character typical of the vintage. Very fine and beautiful pineapple and citrus notes; impressive steeliness and great length. Very fine indeed. Slightly lighter acidity than 1995. 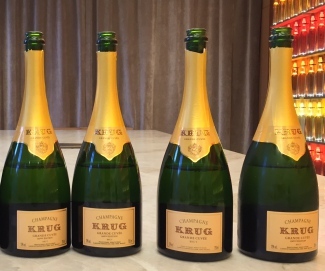 As always, this year will see the latest iteration of Krug Grande Cuvée NV released. Next to arrive is Krug Grande Cuvée Editon 165 NV, based on the 2009 vintage. A warm, sunny year that has produced some great vintage champagnes already, we tasted it at the house last year and can confirm it is another classically world-class Krug. With Edition 164 released in July 2017, it is likely we will see Edition 165 in the summer months of 2018. Wow. Lovely fruits on the nose, all that grapefruit and dried fruit character. Loads of acidity, freshness and mushroom. Great length. 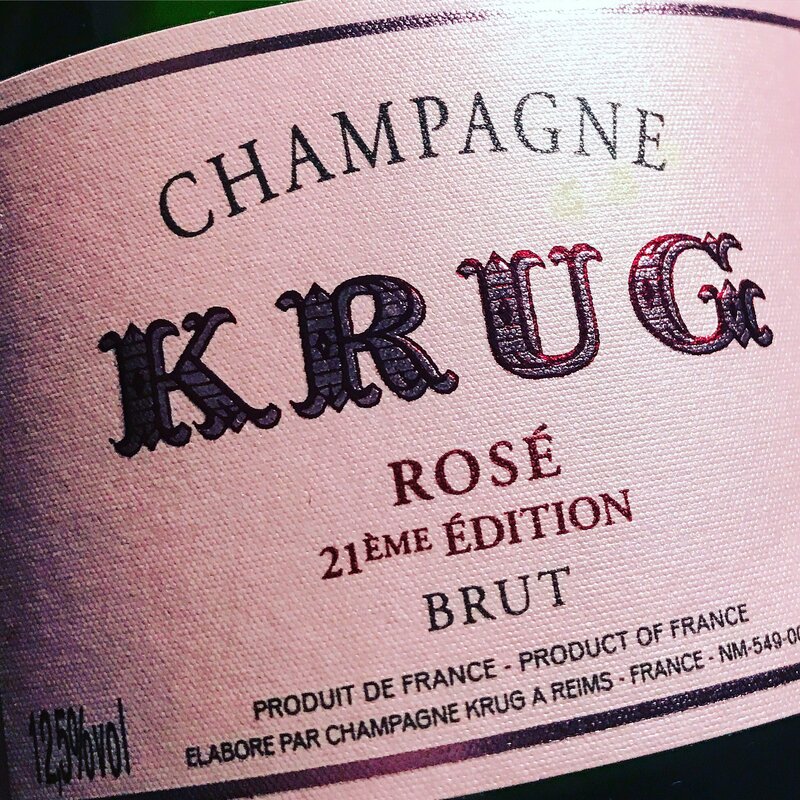 Further, when meeting with Olivier Krug at the house last year, we were also told that Krug Rosé NV would soon be released with an Edition displayed – in the same fashion as Grande Cuvée. Oliver tweeted a picture of the first bottle in December 2017 and it will be available to purchase imminently. 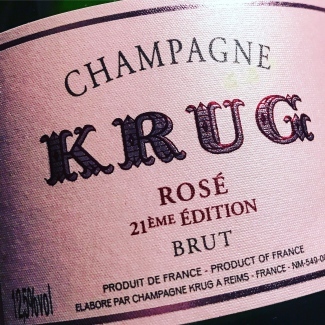 The first edition will be Krug Rosé Edition 21 NV. Two years ago, Lanson announced a new champagne: Clos Lanson, produced from a single 1-hectare walled-vineyard in the city of Reims. Head winemaker Hervé Dantan plans to produce a vintage every year, if the quality of the grapes is deemed high enough. 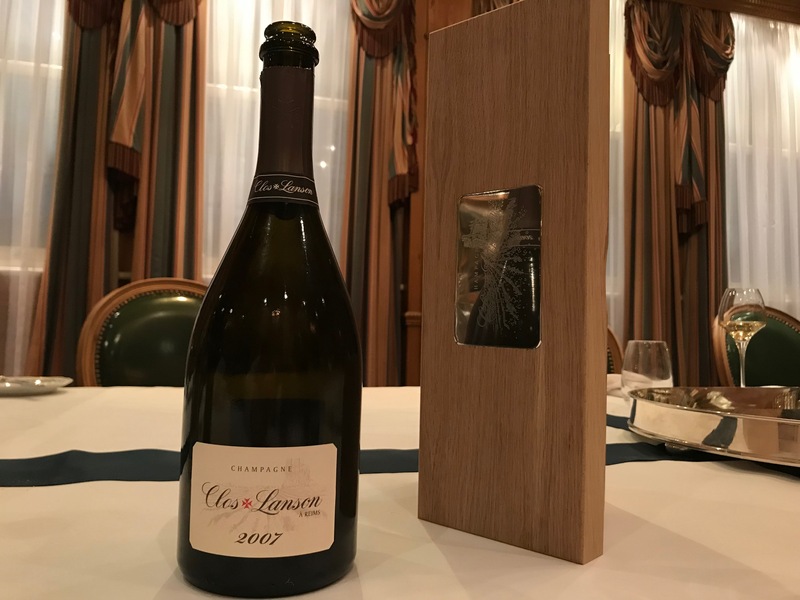 True to his word, Dantan has made Clos Lanson 2007, to follow the first release of Clos Lanson 2006. We tasted it at a dinner with Dantan in London last November and were particularly impressed with its large character and inescapable freshness. The warm year of 2007 comes through on the nose: rich, ripe and with a hint of honey. The highest level of acidity since 1996, this has a real freshness to it. Loads of ripe apples, some pineapple and guava notes. Seems slightly bigger then the 2006. Next year is set to be a busy one for Louis Roederer. 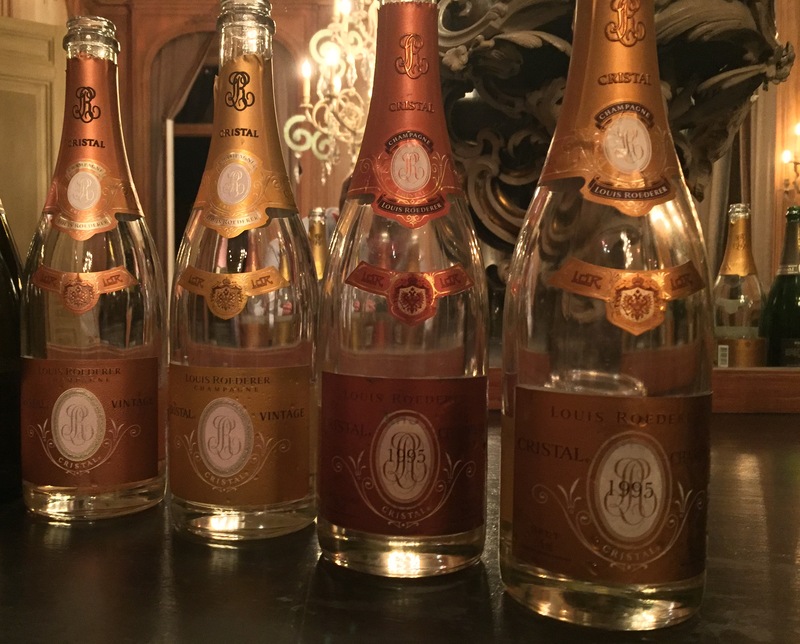 The three confirmed releases all come from outstanding years: their Brut Vintage is set to transition to the highly anticipated 2012 and their prestige cuvées Cristal and Cristal Rosé will both move to the highly acclaimed 2008. We tasted the final blend of Louis Roederer Brut Vintage 2012 and trial blends of Louis Roederer Cristal 2008 and Louis Roederer Cristal Rosé 2008 with cellar master Jean-Baptiste Lécaillon last summer and were blown away. Both Cristal 2008s in particular are standout champagnes and represent the first time the house has decided to wait 10 years to release a vintage – Lécallion even described them as “potentially better than 2002.” All three champagnes should be released by spring 2018. This year Taittinger will release a new vintage of their prestige cuvée: Taittinger Comtes de Champagne 2007. Head winemaker Loïc Dupont told us in August that, due to the heat of the 2007 summer, they picked a little too early and consequently made a very small amount of 2007. Don’t expect this release to last too long. Which reserve wines will be in the next EBEO release? It should be an equally exciting 2018 for Veuve Clicquot. 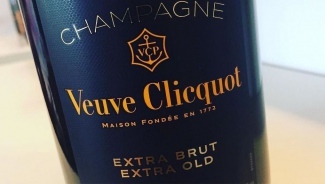 Confirmed releases include the much awaited latest vintages of their prestige cuvée: Veuve Clicquot La Grande Dame 2008 and Veuve Clicquot La Grande Dame Rosé 2008. With only four vintages produced in the last 15 years, La Grande Dame is a seriously exclusive champagne. We tasted trial blends of both with cellar master Dominique Demarville last spring and were impressed with their tension and balance, but Dermaville told us they were still a bit sharp and needed time to soften up. 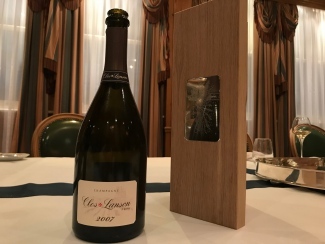 With the highest ever Pinot Noir content for a Grand Dame vintage (95%) and all the hype surrounding the year, La Grand Dame 2008 is set to be a remarkable champagne. Demarville plans to disgorge them around June 2018 in time for a late-2018 launch. Perhaps even more exciting is the potential for a new Veuve Clicquot Extra Brut Exra Old NV blend. Released for the first time last year, Demarville shared his intention to create an EBEO cuvée every year using a carefully selected range of different reserve wines to produce a similar style. This could be the one to watch for 2018. All predictions shared below are not based on information provided by the respective houses, but rather based on our independent speculations, established from observations of previous vintage releases and assumptions regarding vintage maturity. Will vintage 2004 be the next Bollinger R.D. release? There is potential for Bollinger to have two big releases this year. Both their prestige cuvée R.D. and the rare Vieilles Vignes Françaises are due a vintage release. As R.D. (standing for recently disgorged) is a longer-aged version of the ‘standard’ vintage La Grande Année, we can predict which vintage will arrive next. La Grande Année 2004 followed La Grande Année 2002, so we can be confident that R.D. 2004 will follow R.D. 2002. Further, as R.D. 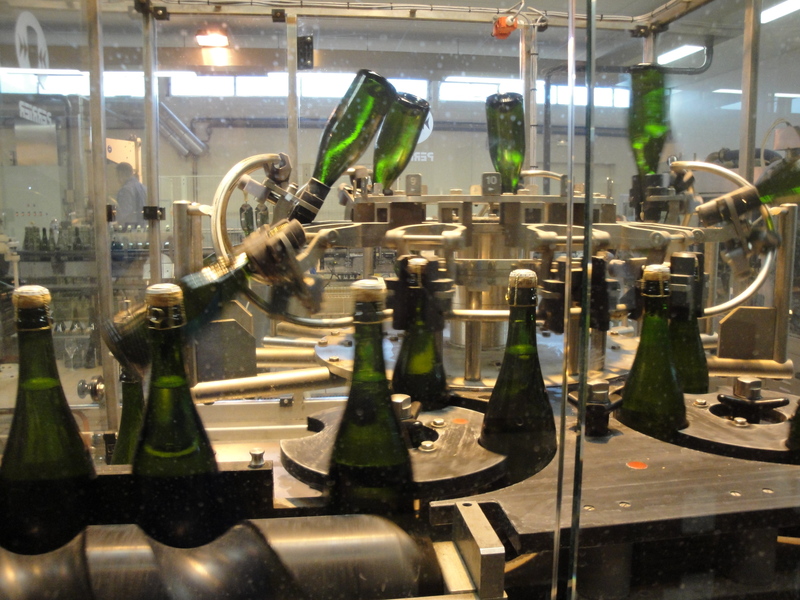 is typically aged on the lees for 2-3 years longer than La Grande Année, we are predicting that Bollinger R.D. 2004 will be released at some stage during 2018. Vintage 2008 is next, here’s hoping it arrives in 2018! Last year, with the release of Dom Pérignon 2009, head winemaker Richard Geoffroy skipped a vintage for the first time in the history of the house, holding back Dom Pérignon 2008 for later release. 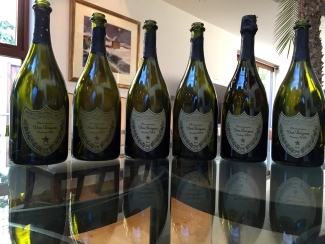 Not an astoundingly peculiar a decision, other producers did the same – notably Louis Roederer with Cristal – but it does mean that Dom Pérignon 2008 may be coming soon. Esteemed wine critic Antonio Galloni tasted a trial blend in July 2017, rating it 98+/100 and commenting: “It’s not too early to start setting aside the cash for this utterly magnificent, riveting Champagne.” It may not be released until 2019, but our excitement is uncontainable, thus our fingers are crossed for a late-2018 release. Finally, we may even be treated to a new vintage of one of the world’s greatest champagnes this year: Krug Clos du Mesnil. The house decided to release Clos du Mesnil 2003 before Clos du Mesnil 2002 – as they did with their Brut Vintage champagne. 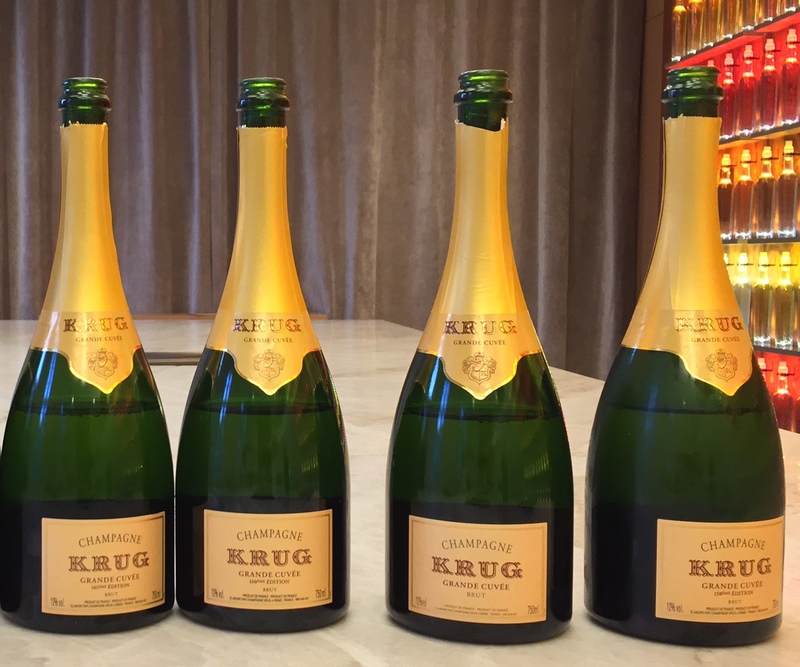 Krug Vintage 2004 was then consequently released two years following Krug Vintage 2002, so if we are to expect a similar release pattern for Clos du Mesnil, it’s highly likely we could be tasting Krug Clos du Mesnil 2004 at some point this year. Whatever happens, it is sure to be another exciting year for Champagne, with the confirmed releases alone sufficiently whetting our appetite. As always, we will be here with tasting notes and reviews of all the latest releases as they occur throughout the year. Be sure to subscribe to our mailing list to be amongst the first to find out.